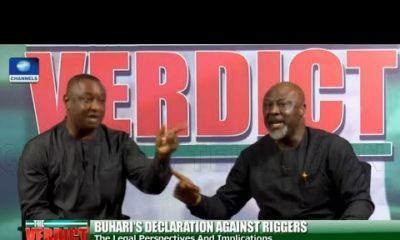 The Kogi State High Court ruled on Friday that Dino Melaye be moved to Abuja where he would be able to receive appropriate care for his health complications, Vanguard reports. Chief Judge of Kogi State, Justice Nasir Ajanah who gave the order Friday following a motion for bail application filled by Dino’s Counsel, Mike Ozekhome seeking the bail of the Senator who is standing trial for criminal Conspiracy, Gun running among other charges brought against him. 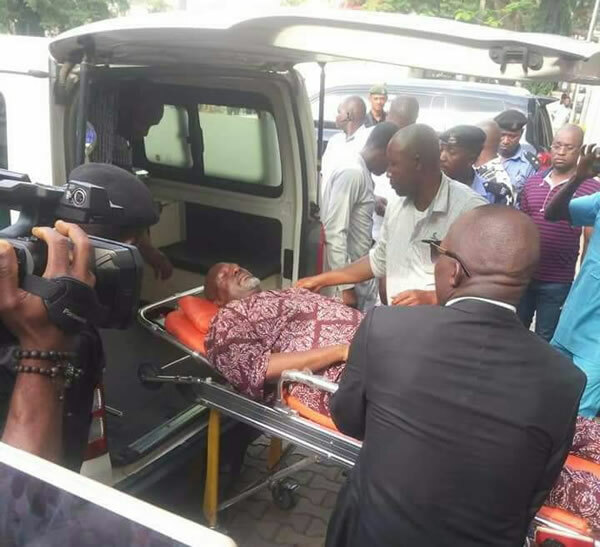 Nasir Ajanah said the police health centre is not sufficiently equipped and cannot care for Melaye, who took ill after jumping out of a moving police vehicle last Tuesday. 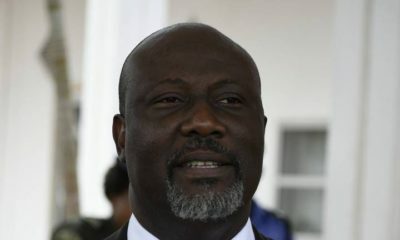 A Magistrate Court in Lokoja had on Thursday refused the senator bail and asked him to be kept in Police custody until June 11. 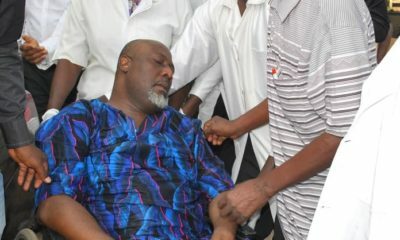 The Chief Magistrate Sulyman Abdullah had said Dino should be remanded in police custody but the Inspector-General of Police must ensure his health does not deteriorate. It remains unclear, however, whether the senator is being treated for the injuries he sustained following the attempted escape or other medical complications. The case was then adjourned to May 7th.